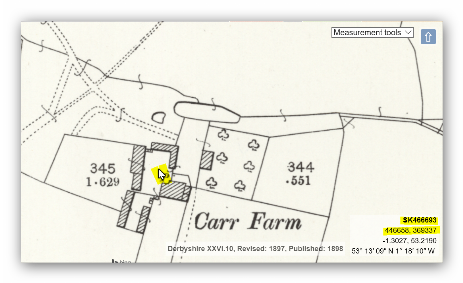 I have always been intrigued by Carr House farm at SK 466693. The farm no longer stands but is shown on all editions of the O.S. Maps of the area. I was fortunate enough to live a few doors away from Fred Poole whose family worked the farm for many years, until it was demolished. He told me many stories of life on the farm and living in the area, the farm was known locally as Poole’s Farm. He was a keen gardener and always grew fresh vegetables the envy of all, which he proudly put on display at the annual Harvest Festival at the local chapel. A sample of this produce used to mysteriously appear on my wall every now and again and he would never accept any payment for it. 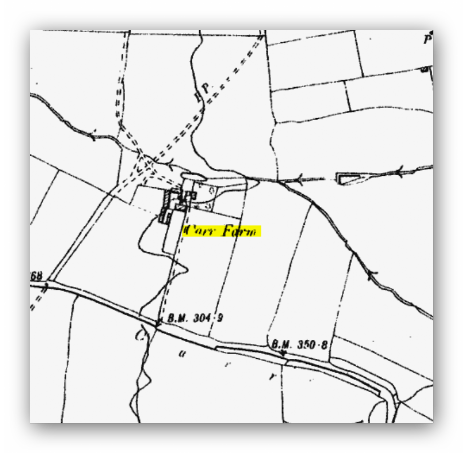 Early in this century men were employed locally in mining and brick working but another occupation which was previously the dominant one in the area was that of farming and one of the smaller farms to work the Bathurst estate lands was Palterton Carr House or Carr Farm, the farm which farmed about 150 acres; now demolished is shown on maps surveyed prior to the 1840 Ordnance Survey maps, the farm is now demolished but once sat on the cross roads of many of the local footpaths and bridle roads. A small house which grew over the years to include many of the out buildings we associate with a farm. The original house was built from local stone possibly sourced from the limestone which outcrops on the ridge around Palterton and the later outbuildings were built with the same local stone and Byron bricks and which were made just a few hundred yards away from the farm. There are still many to be found around the farm site stamped 'Byron', a lasting reminder of that local industry. As part of the 1779 Inclosure Act a new private road was created out of an old footpath which served the farm. 'Branching out of the westerly end of Gander Lane and from thence extending in a southerly and westerly direction over Spital Green into the northerly end of an ancient lane called Old Carr Lane in the Liberty of Palterton and do hereby call the same Spital Green Road. 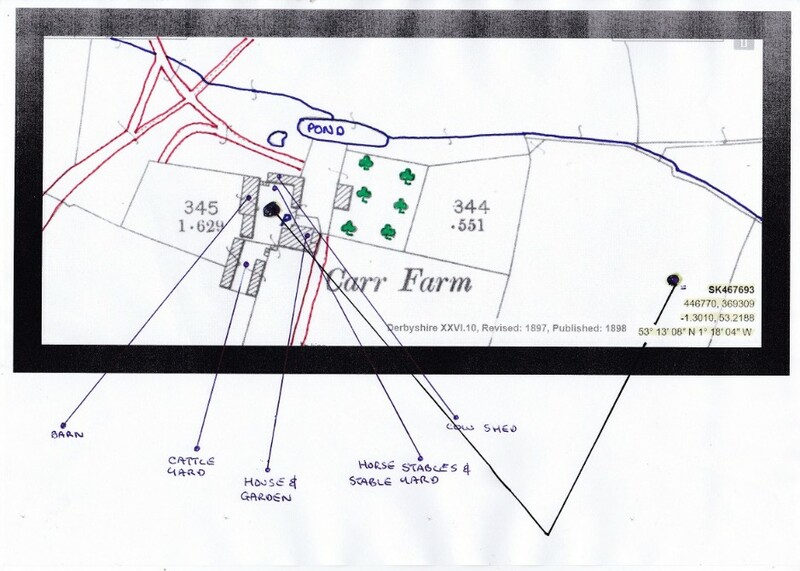 For the use of owners of land in the Liberty of Palterton belonging to Earl Bathurst called Carr Farm'. The present Darwood Lane. Palterton Carr or Car, House or Farm. Car or Carr House or Farm. The farm was demolished in the 1960's and the land added to other local farms. 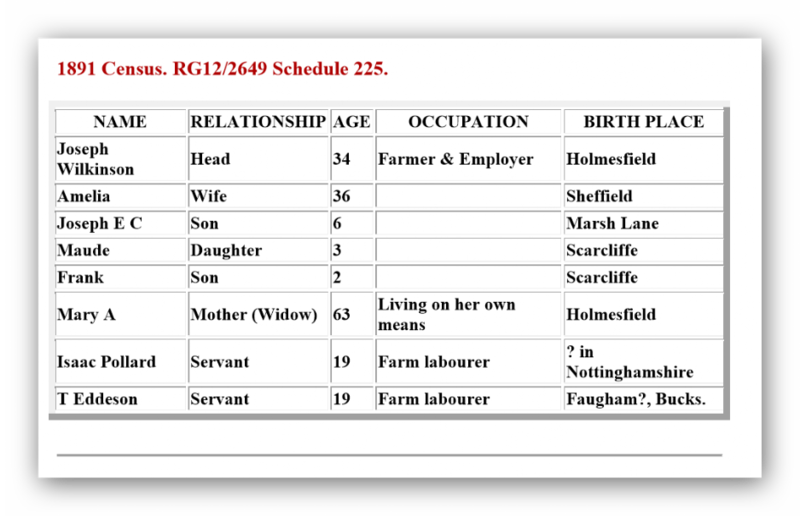 For a detailed history of the farm have a look at: Jack's Palterton web site. (Opens in a new window). Carr House Farm. 1. Copyright Unknown. From the Collection of Brian Spray. Carr House Farm. 2. By kind permission of Jacks Palterton Web Site. 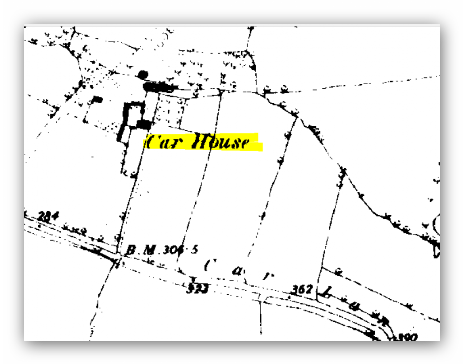 1835, Car House, (Sandersons Map). 1883, Car House. 1921, Carr Farm. 1951, Carr Farm. 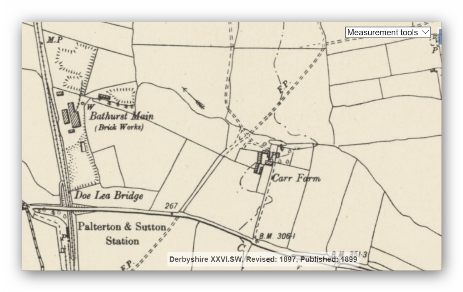 1898, Carr Farm. 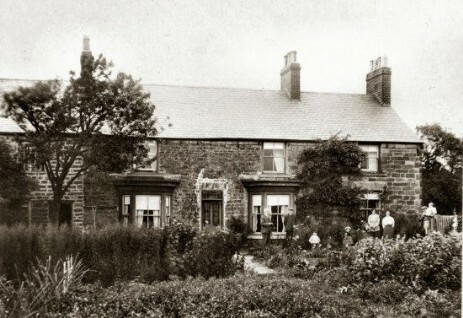 1898, Carr Farm. 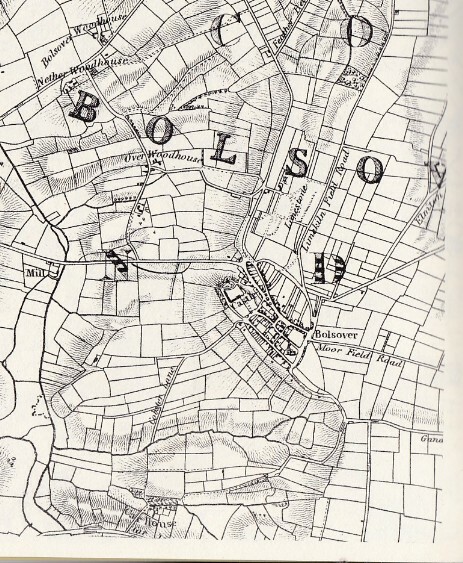 Detailed Ordnance Survey maps of the area from National Library of Scotland. (Opens in a new window). All that now remains are the farm pond the footpaths and farm tracks. Photographs of the site were taken on Monday 06/02/2017. Photographs of farm remains were taken on Friday 10/02/2017.